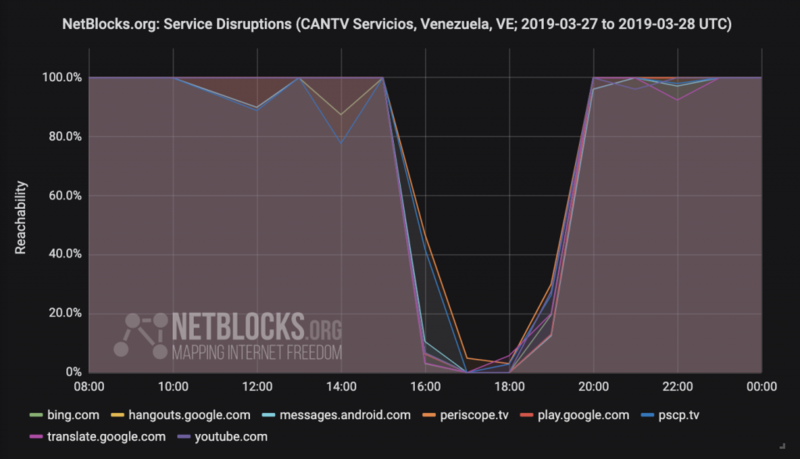 Network performance data shows that Venezuela’s state-run internet provider ABA CANTV (AS8048) restricted access to YouTube, Twitter’s video streaming service Periscope, several Google services and Microsoft Bing for a period of three and a half hours on 27 March 2019. 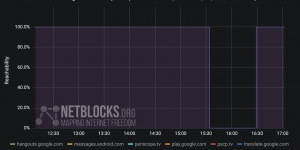 The blocks, which lasted from 16:05 UTC to 19:35 UTC (12:05 PM to 3:35 PM VET) coincided with a press conference by Juan Guaidó detailing plans for a national resistance dubbed Operación Libertad. 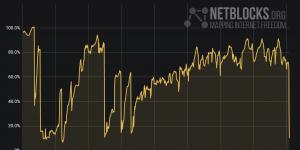 Network data shows that the disruptions are distinct from outages caused by ongoing nationwide power outages. 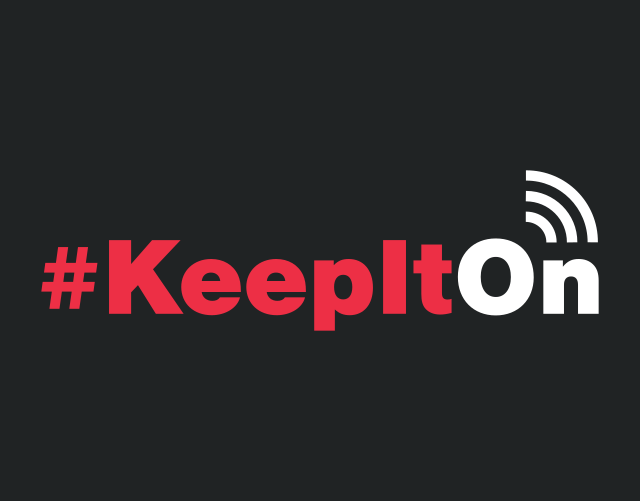 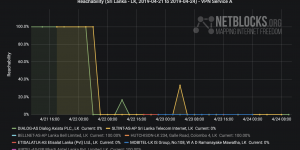 The new outages mark the return of ephemeral, or intermittent internet censorship imposed by the state appearing to target critical speech. 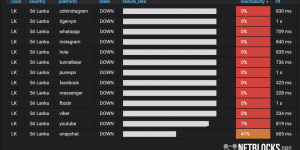 Data are consistent with previous targeted disruptions during public appearances by the leader, and during sessions of Venezuela’s National Assembly. 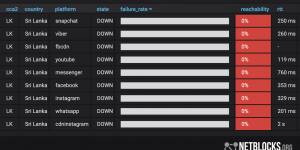 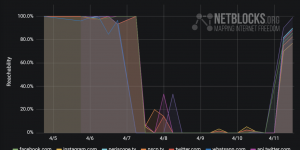 Venezuela saw a remission in ephemeral network filtering and blocking of social media and streaming platforms during the nationwide power outages through March. 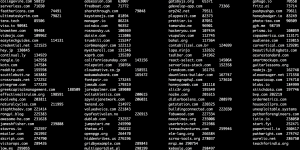 News media and campaign website filters have nevertheless remained in place throughout that period. 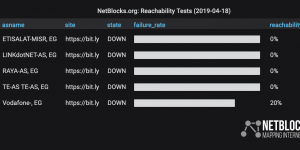 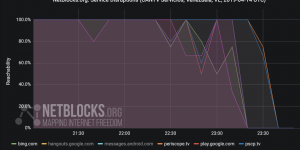 Past incidents of network filtering in Venezuela have lasted from twelve minutes to over twenty hours, when YouTube was restricted hours before the country’s first nationwide power outage. 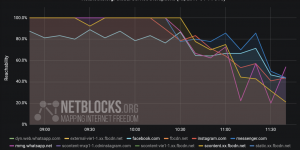 Network data indicates that each platform disruption is consistent with methods used to block online content in Venezuela.